Eighteen Nelson and Colne College students are taking their first steps into teaching after completing a five week course to educate others across East Lancashire. 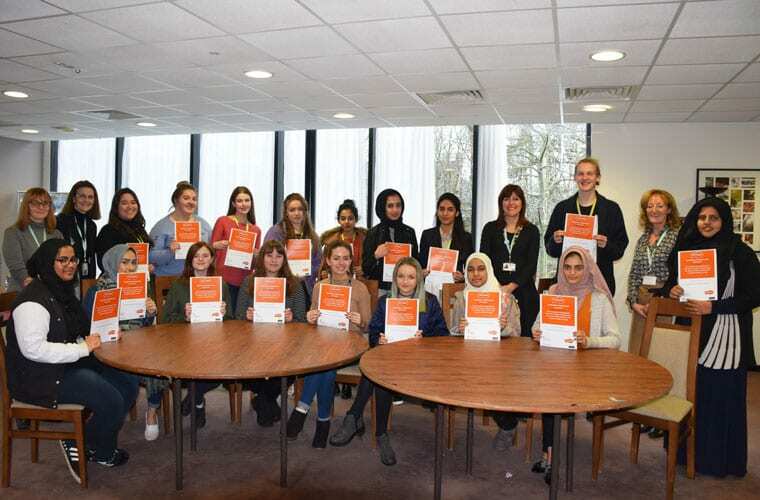 The students, all aged between 16 and 19, have become the first in their age category in Lancashire to become volunteer ESOL teachers on the nationally acclaimed Talk English project. The newly qualified volunteer teachers will teach Muslim women in Pendle, Burnley and Accrington conversational English with the aim of improve integration within communities. This initiative, funded by the Department for Communities and Local Government, will also provide the learners with valuable experience to support their UCAS applications. Lancashire Adult Learning delivered the training and learners whose first language is not English are already reaping the benefits of it as students feel the self-satisfaction of helping people develop their skills. Principal of NCC, Amanda Melton, said: “This is a fantastic opportunity for our students to go out into the real world and support people and help improve their English skills. “These are people who are not ready to go into a College environment but they will be taught the functional skills that they need and it will really make a difference. Andrea Cowton, Curriculum Leader for Maths and English and Preparation for Life at LAL, said: “I’m delighted that all the students have completed the course and it is great that 18 young people felt inspired to sign up on a voluntary basis to improve the lives of others. “The project is really important and is aimed at improving community cohesion. This is not just people of diverse backgrounds, but also people of different generations.